Note: Though I wrote this, the real author of this piece is Marathon Girl. Most of the insight in this essay comes from her. When you’re in a relationship with a widower, some widower-related issues are bound to arise. 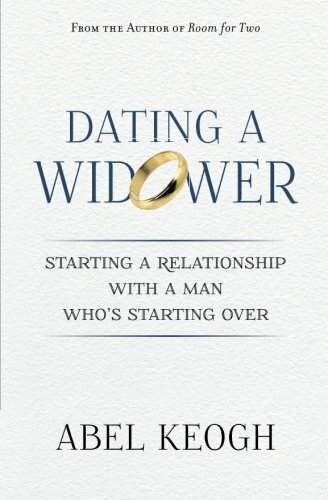 For example, the widower might seem like he’s having a hard time moving on. Maybe he spends an inordinate amount of time thinking or talking about the late wife. Perhaps you’ve become quite serious yet his home still looks like a shrine to the deceased. Knowing how to approach and talk to him about certain subjects can be difficult. Below are some suggestions to be able to effectively talk with the widower about problems that may be hindering your relationship. Finding the right time to talk to the widower is critical. Don’t do it when he’s upset or otherwise in a bad mood. Wait until he’s in a good frame of mind. This will help him be more receptive to what you have to say. Marathon Girl is very good at knowing when to talk to me about anything that needs to be addressed in our relationship. If I’ve had a stressful day at work, she knows its best not to talk about it until I’ve had a chance to unwind. She knows I’ll listen better and be more receptive to dealing with the problem if I’ve had an hour or two to play with the kids or write. She also knows that if I’m in an extremely good mood (say the Detroit Tigers just won the World Series) that it’s probably best not bring up a serious subject until I’ve had time to celebrate. The key here is patience. Most issues don’t have to be addressed immediately. Just wait for the right moment to bring it up. If he’s in an agreeable mood, the widower will be more likely to listen to what you have to say — an important first step to resolving the problem. Sometimes widowers say and/or do things that make you jealous. Maybe he tells a story about a trip they took or a fond memory of her. Maybe he keeps a lot of photos in the house of her despite professing his love to you. Whatever he’s doing, it’s driving you crazy because you feel like you’re competing with a ghost. You need to tactfully let him know that you want a strong, loving relationship with him but it’s hard to when he keeps talking about or doing things that show his love for the late wife. Let him know that you’re not resentful of the love he has for her but that you need to know he feels the same way about you. 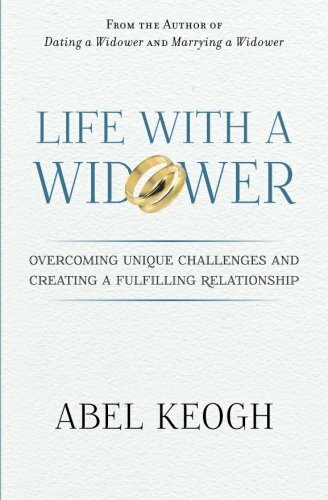 Nine times out of ten the widower is unaware how his actions are affecting you. Not coming across as jealous will make it more likely that he’ll listen and change his behavior. There are going to be some widower-related issues you need to deal with on your own. 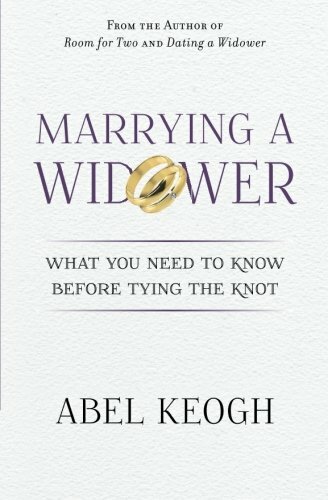 This doesn’t mean you can’t tell the widower about them but if you do, you need to let him know that he can’t help solve them. After Marathon Girl and I became serious enough that we were discussing the possibility of marriage, she let me know it was sometimes hard for her to think about marrying me because a lot of the things that would be firsts for her (marriage, honeymoon, buying a house, having kids, etc.) were going to be seconds for me. Even though she told me about her feelings, she also let me know that this was something I couldn’t solve for her. She told me it was an issue she had to work through on her own and would let me know from time to time how she was dealing with it. I really appreciated her doing this. Not only did it let me know what was going through her mind but it set an example for me. If Marathon Girl was willing to put the time and effort into working on problems, I should be willing to work on mine as well. If there are multiple issues you need to discuss with the widower, pick the most important one and work on that first before bringing up the others. No matter how much a guy loves you, he hates being dumped on. Men are much better at being receptive to what you say when we only have to deal with one problem at a time. When you start going off on multiple issues, we start blocking out a lot of what you’re saying or start thinking of you as a nag. Back when we were dating, there were times when Marathon Girl had several issues she wanted to discuss but wisely picked one at a time. When she felt the time was right brought up another one and we worked on that. She knew that telling me all the issues at once would make me defensive and make it less likely that they could be resolved. 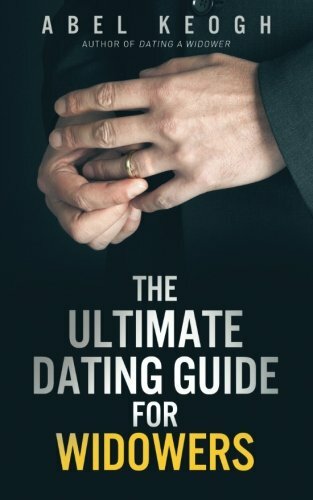 Effectively communicating and working on the unique issues that arise with a widower can make or break the relationship. Knowing a little widower friendly psychology can be a good first step in having not only having open lines of communication one but a successful, loving relationship.